If questioned, I would be the first to admit that I am far from the perfect mum. I’m often impatient, I lose my temper far too much and I often say I’m busy when asked to play. However, I like to tell myself that I claw back a few Mummy points when it comes to planning the perfect birthday party. Moogle and I will begin discussing and planning her parties months in advance, and I will go to any length to try and provide her with everything she wished for. In the past we’ve had Princess parties, bouncy castles and last years’ ‘Favourite Things’ disco party. This year, Moogle was undecided on what her party theme might be. At a wedding fayre (organised by my sister) we met a lovely lady called Kerry from High Jinks Pop Up Events. 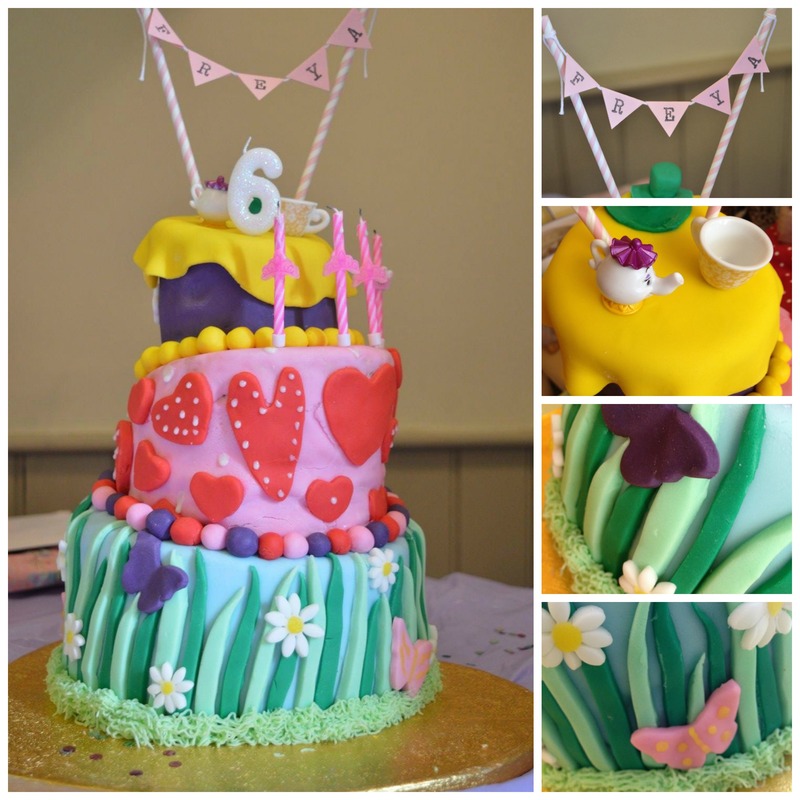 High Jinks caters for all kinds of special occasions, including (drumroll please), children’s birthday parties. 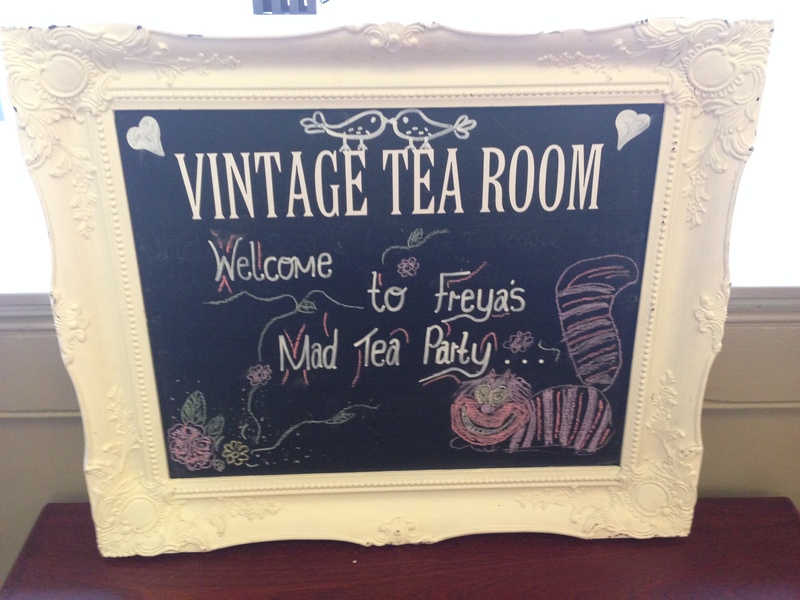 After much deliberation we finally agreed on a Mad Hatters theme and the planning began in earnest. First things first, I needed a venue. I knew I wanted something a bit fancy, but everywhere that I found online was either too pricey or looked like a pub function room. I definitely wanted something a bit vintage and quaint. I was at a loss until one of the mums at Moogle’s school told me about The Manor Room at Teversal. 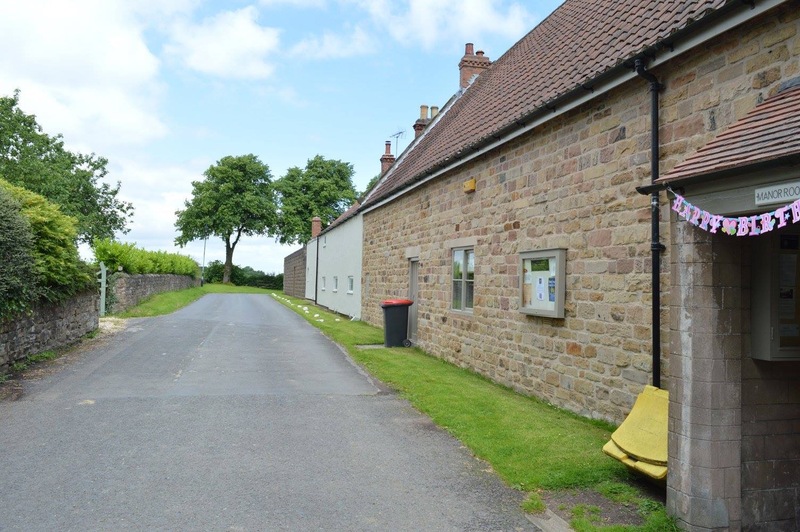 Their website showed a cute little village hall style venue, set in a village that could have come straight from an episode of Postman Pat. I booked it straight away and at £10 an hour it was a complete bargain! I didn’t actually go to have a look at the place before the party, which probably wasn’t a wise move, but luckily for me I had nothing to worry about. The venue was beautiful and had exactly the atmosphere that I was looking for. The facilities were excellent, with plenty of space, chairs and tables and even a small kitchen for food preparation. There were restrictions on what decorations we were allowed to put up in the room, but as luck would have it they already had bunting hanging from the rafters which really helped to add to the “Afternoon tea” vibe I was going for. There were also a few hooks around the room where we managed to hang some “Happy Birthday” banners. 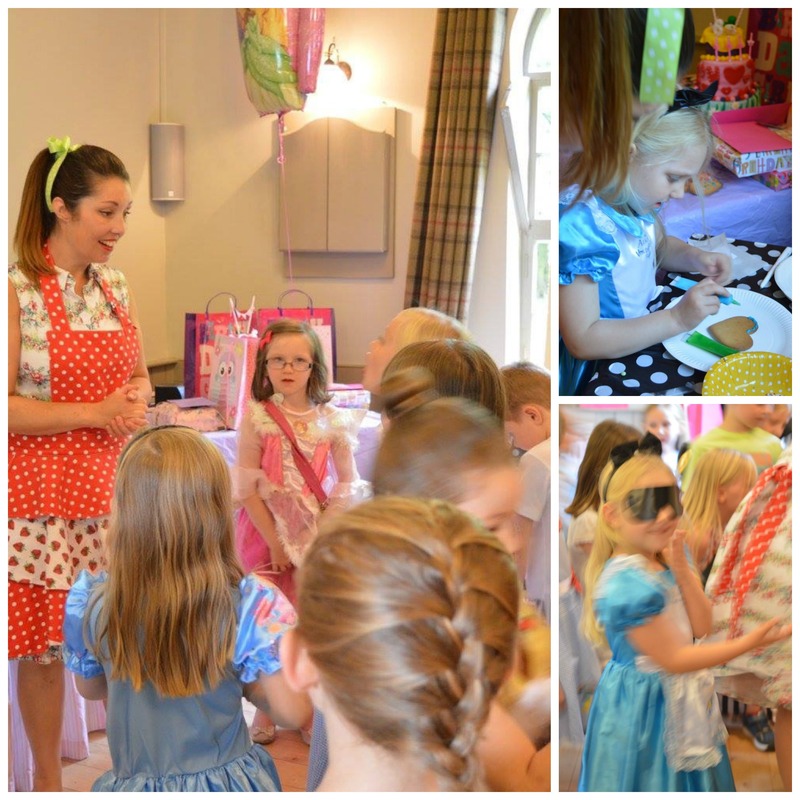 As well as fully catering the tea party, Kerry from High Jinks also provided the majority of the decorations and all of the party games and entertainment. She even offered to handle the invitations and party bags, but I do love a bit of party planning so I opted to do those myself. Her decorations were absolutely perfect – far better than anything I could have done. 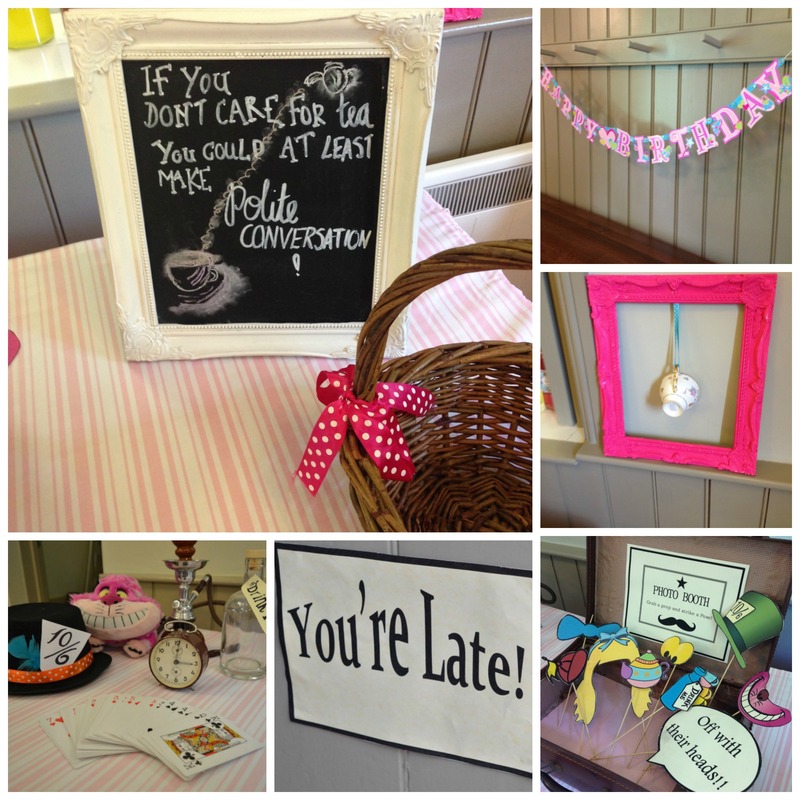 There were lovely little touches like a “You’re Late” sign hanging on the door, and a teapot on the table complete with sleepy dormouse. Kerry had a great selection of games to play with the kids including “Her Majesty Says”, Wonderland Bingo and Pin the Smile on the Cheshire cat. She even provided the prizes for all of the games including sweets for the “losers” so nobody minded if they didn’t win! Kerry also brought ready-baked biscuits and a selection of icing and sprinkles so the kids could get creative and decorate their own biscuit, which was then placed in their party bag for them to take home. After lots of fun and frolics, it was time for tea, again all provided by Kerry. There were a variety of finger sandwiches, snacks, fruit and vegetable crudités, biscuits, jam tarts and, of course, cupcakes. The kids really seemed to enjoy tucking into the tea and there was hardly anything left at the end. After tea it was time to blow out the candles. Kerry had very thoughtfully made teeny-tiny cupcakes for each child, so that we could sing “A Very Merry Unbirthday Song” to all of the children after singing “Happy Birthday” to Moogle. 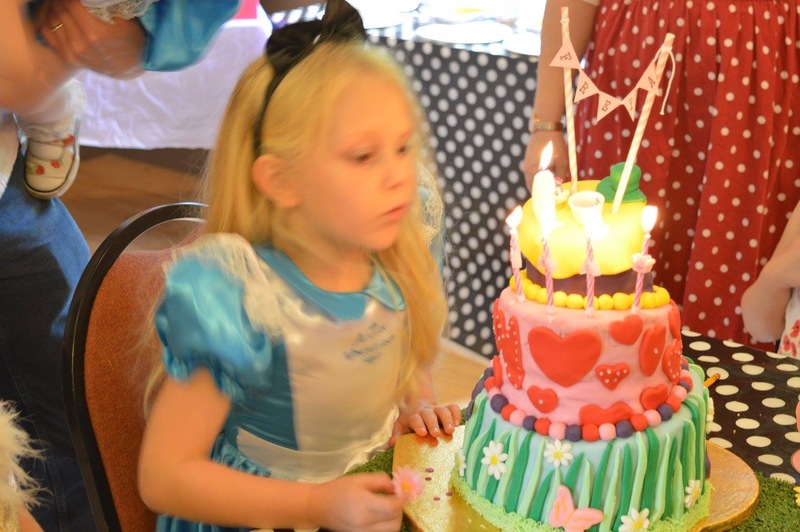 Moogle’s birthday cake was a three-tiered topsy-turvy cake with an Alice In Wonderland theme. I would like to take credit for the cake, but after baking it I barely laid a finger on it. I did help cover some of it with fondant (badly) but then I was so busy that I had to hand over the reins to my sister. She did an amazing job so maybe I’ll just leave it to her in the future. I’m much better in a managerial capacity! Before we had to leave there was just time for some messing about in a photo booth(again, provided by Kerry at High Jinks) and then it was time to hand out the party bags. I completely forgot to get a picture but we had gold party boxes, filled with all kinds of goodies like sweets, lollies, bubbles and a small pack of playing cards. All of the kids left with their party boxes, decorated biscuits, prizes and big smiles so I think the afternoon was a success. Moogle is already saying she wants another tea party next year. The High Jinks tea party cost just £8 a head, which I thought was ridiculously good value considering how Kerry just handled the entire party and catering on her own, with no fuss. 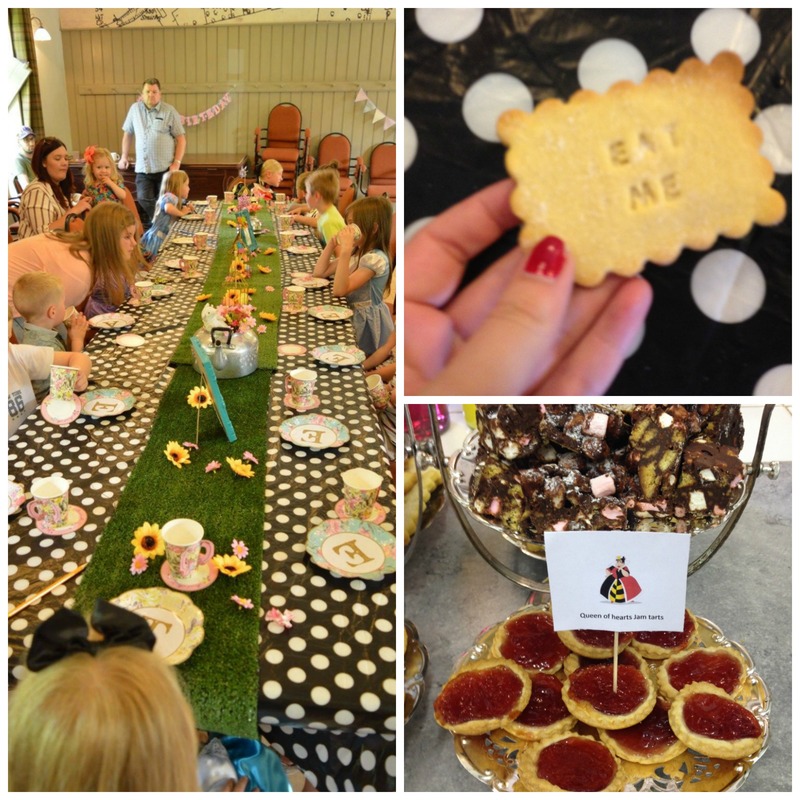 It was the perfect, old-fashioned children’s party and I really couldn’t recommend her enough. I’m pretty sure she covers the Derbyshire and Nottinghamshire areas and if you’d like more information you can contact her on her Facebook page. She was incredibly accommodating and is happy to build the party package around your requirements. After the party we had to rush off to see Moogle in her latest musical theatre performance, so by the time we were finally home we were completely exhausted. However, we had to admit it had been a really special day and I think it’s a party we’ll remember for a long time. We’ve even booked the venue again for a family Christmas party! A big thank you to everyone we came to the party and everyone who helped use set up, decorate, pack party bags and generally make the day special. See you again next year!! 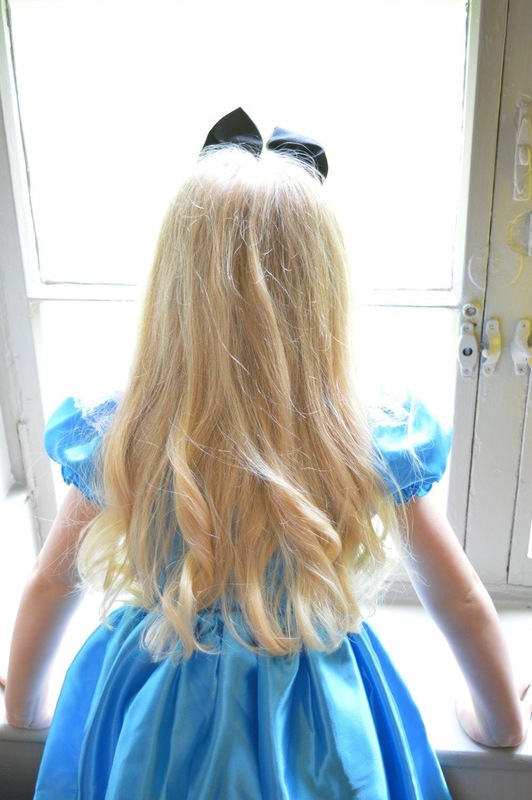 This entry was posted in Family, Parties and tagged alice in wonderland, birthday, cake, children, daughter, High Jinks Pop Up Events, mad hatter, party, tea party, Teversal.